The field of music production is in a state of uncertainty, if not even in an outright crisis of reproduction. Because of recent and relatively rapid changes in communication technology, old conglomerate models and structures of production, dissemination and consumption of music are arguably subject to change. This has also created pressure towards legislative changes, especially in relation to copyright issues. 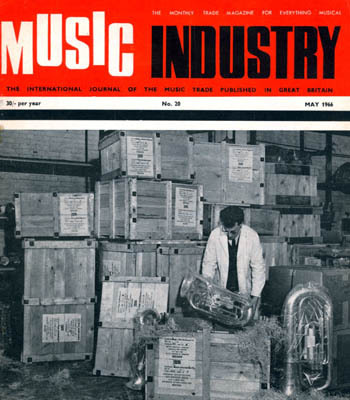 In general, the increased importance of immaterial property rights, as opposed to selling physical records, has been acknowledged within the music industries. In order to address these shifting conditions of music production and consumption, IASPM-Norden (the Nordic Branch of the International Association for the Study of Popular Music; http://iaspmnorden.wordpress.com/) invites scholars and other interested parties to share their ideas in the “Music, Law and Business” conference. The aim of the conference is to provide a forum in which industry professionals, officials, scholars and other agents can engage in a mutually beneficiary dialogue. The goal is furthermore explicitly multidisciplinary, as the purpose is to bring together experts not only from the conventional areas of music research dominated by humanities and social sciences but also from economics and legal studies. Please label your attachment with your last name and first initial (eg. beathoven-l.rtf), not the title. The official language of the conference is English. Notifications of acceptance will be sent no later than 15 February 2010. Confirmed guest speakers of the conference include Adj.Prof. Tarja Rautiainen-Keskustalo (Department of Music Anthropology, University of Tampere, Finland) and Dr Patrik Wikström (Media Management and Transformation Centre, Jönköping International Business School, Sweden). The conference is organized by the Nordic Branch of the International Association for the Study of Popular Music with the Finnish Society for Ethnomusicology, University of Helsinki (Musicology), Aalto University (School of Economics/Best Practices of Globalization in Finnish Rock Exports research project), Sibelius Academy and Music Export Finland, in co-operation with the IPR University Center, International Institute of Popular Culture and Statistics Finland. IASPM-Norden website or contact IASPM-Norden chair Antti-Ville Kärjä personally.